"Creativity, Beauty, and Fun Reign Supreme in 2016"
With the year coming to a close, it’s a good time to look back on some of the games that released this year. It’s been an interesting year, with surprise hits, massive flops, and even the release of games that had long been written off as vaporware that would never see the light of day. As usual, both AAA developers and indie studios continue to raise the bar with what can be done with video games, giving us a wide variety of incredible experiences. Here are the top ten titles that I found noteworthy this year, either for their creativity and uniqueness or just for being plain fun. 10) Momodora: Reverie Under the Moonlight Momodora was a bit of a surprise for me. I picked it up during the Steam summer sale after being intrigued by the trailer. What I got was largely what I expected: a thrilling Metroidvania-style action platformer with slick combat, great visuals, and an eerie and atmospheric story. It meets halfway between the brutal difficulty of Dark Souls and the slow, plodding puzzle-based exploration of Metroid. 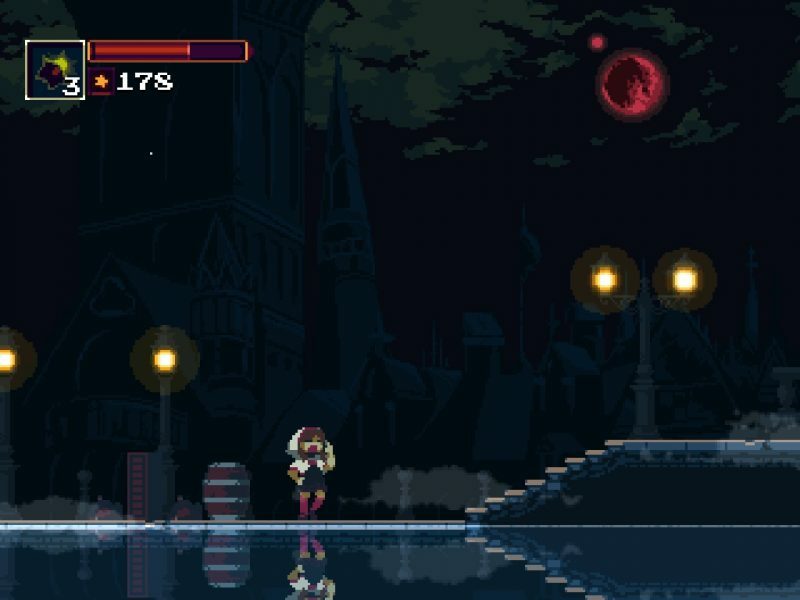 Momodora: Reverie Under the Moonlight is a treat for any fans of action platformers with satisfying combo-based combat, clever puzzles, and excellent world design. As you explore the cursed and dying land, you’ll encounter creepy monsters, tough bosses, and intriguing companions, all leading you deeper and deeper into the beautiful and haunting world of Momodora. 9) Dragon’s Dogma: Dark Arisen [PC] This one’s a bit of a cheat, since Dragon’s Dogma technically came out in 2012. The PC release in January gave a whole new way to play along with fixing many of the technical issues that the older console versions came with. If nothing else, the PC release is an excuse to dive back into the dark and expansive world of Gransys. Players take up the mantle of “The Arisen,” a hero destined to kill the dragon terrorizing the countryside. The fairly stock-standard plot provides a great backdrop for some of the more immersive an interesting game ideas. Combat can be tough, so players, aided by the unique Pawn system that lets them recruit customizable NPCs, can be a great aid in tackling the deep caves and ancient ruins. 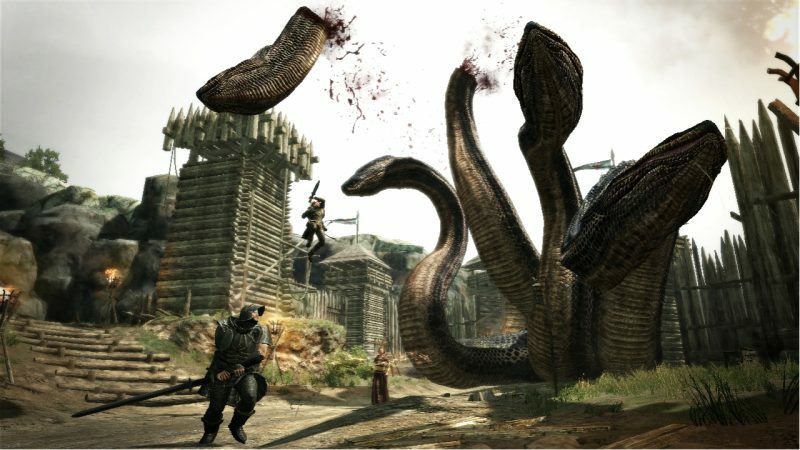 Subtle and surprising storytelling mixing with a unique sense of atmosphere make this game great, and the addition of technical improvements and DLC make this the definitive way to experience Dragon’s Dogma. 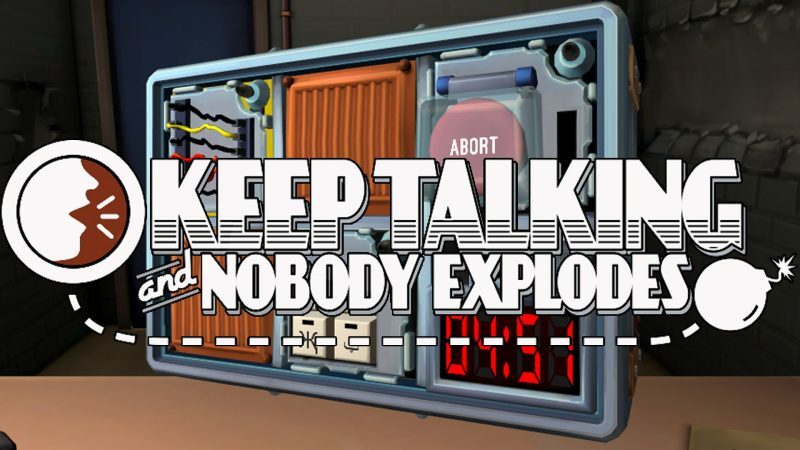 8) Keep Talking and Nobody Explodes This is another game that surprised me. Here’s the premise. One player, the “bomb defuser,” is tasked with deactivating a ticking time bomb with various puzzle modules strapped to it before the bomb goes off. The puzzles, however, are only solvable with the help of a second player, who has a “Bomb Defusal Manual,” a PDF document with instructions for solving the puzzle. The catch, though, is that the defuser can’t see the manual and the person with the manual can’t see the bomb. The result is a hectic and hilarious two-player experience that’s a blast (sorry for the pun) to play. Such a simple concept is used as a base to make tougher and tougher bombs, until by the end two players have to solve multiple puzzles simultaneously all while the timer ticks away. It’s a unique experience that highlights some of the great creativity coming out of the indie game scene. 7) DOOM DOOM, conversely, deserves a place on this list precisely because it didn’t surprise me. 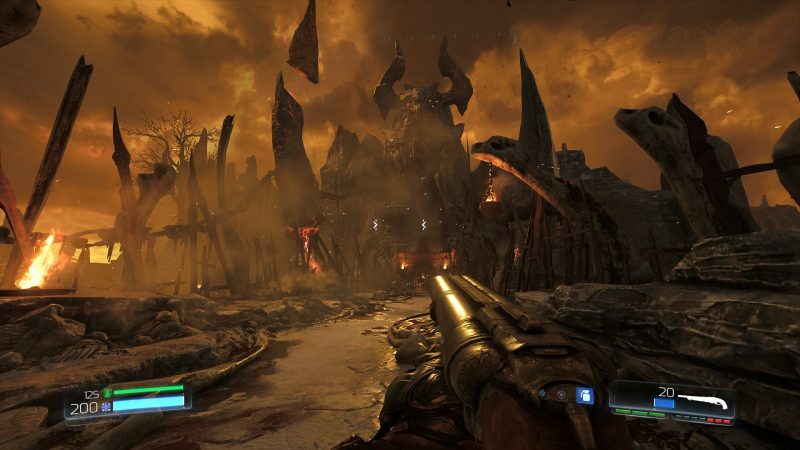 A Doom game that hearkens back to the series roots should be nothing but a gore-splattered romp through hell, giving the player an armful of powerful weapons and a whole legion of demons to rip apart, and boy does DOOM not disappoint. The absolute gratuity of violence and mayhem set on the beautiful backdrop of Mars makes the game a visual treat as well as a great game. After enduring years of gray-brown “realistic” military shooters, it’s so refreshing to come back to a game that’s nothing but ridiculous, over-the-top violence and insanity. What did surprise me in DOOM, however, was the story. Rather than just throw the story out once the whole “kill demons” bit is established, DOOM continues to deliver an interesting narrative, even going so far as to deliver a backstory for Doomguy. The fluid and frenetic gameplay still take center-stage though, delivering a fast and thrilling experience. 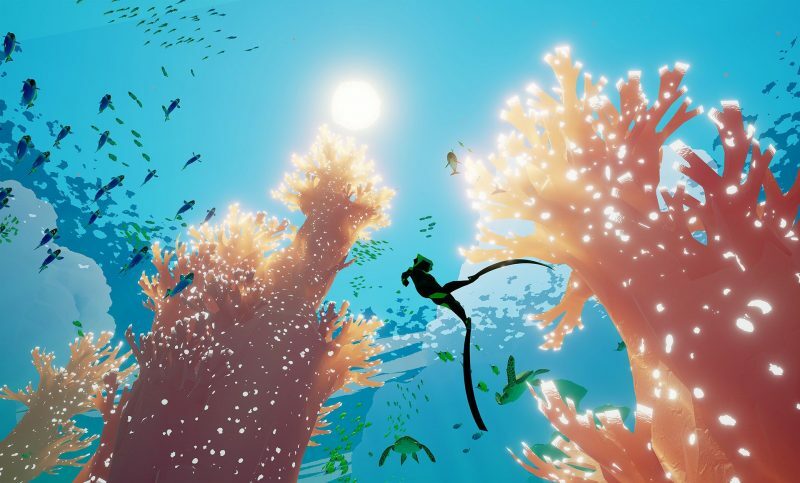 6) Abzû On the absolute other end of the gaming spectrum is Abzû, a game about immersing yourself in a peaceful and beautiful underwater environment. Abzû comes from the director of Journey and Flower. It shows the same hallmarks – beautiful, vibrant environments, simple and relaxing gameplay, and an underlying sense of uncertainty an unease as you plunge into greater depths. While it may not deliver on a narrative front nor provide an incredibly engaging gameplay experience, Abzû is a testament to the idea that games don’t need to be about conflict. They can be a unique medium for delivering a compelling and relaxing experience. It’s an absolutely gorgeous game and a great palate cleanser for anyone who’s itching for a break from the violence and grit of many AAA games. 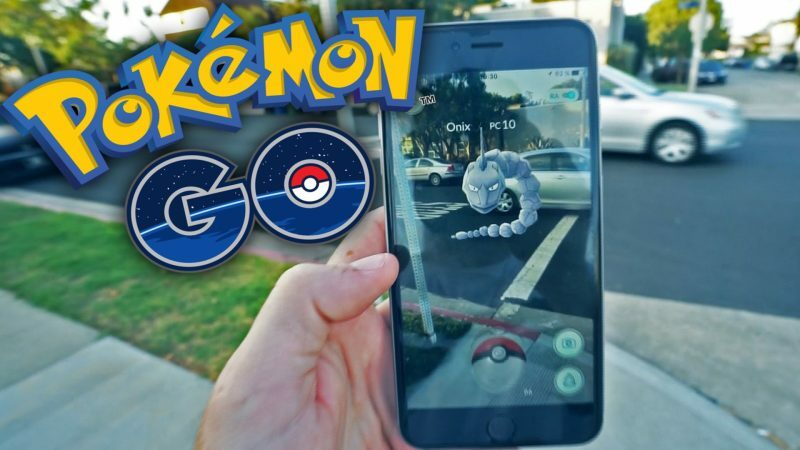 5) Pokemon GO Rather than go the easy route and give this slot to Pokemon Sun and Moon, I think it’s worth taking a moment to acknowledge Pokemon GO, the mobile app craze that captivated millions when it released in the summer. While it’s arguable that the augmented reality app is overly simplistic and it has been rife with technical issues, it’s undeniable that just about everyone played it. It was a fun fad game, but more than that, it brought together gamers in an unique way. It encouraged players to get exercise, meet new friends and other players, and even helped boost small businesses with foot traffic. Pokemon GO didn’t deliver a rich gameplay experience or help build the world of the games – that’s what the 3DS release is for. Instead, it got a whole generation of gamers and non-gamers alike excited about the future of gaming and what augmented reality apps are capable of. 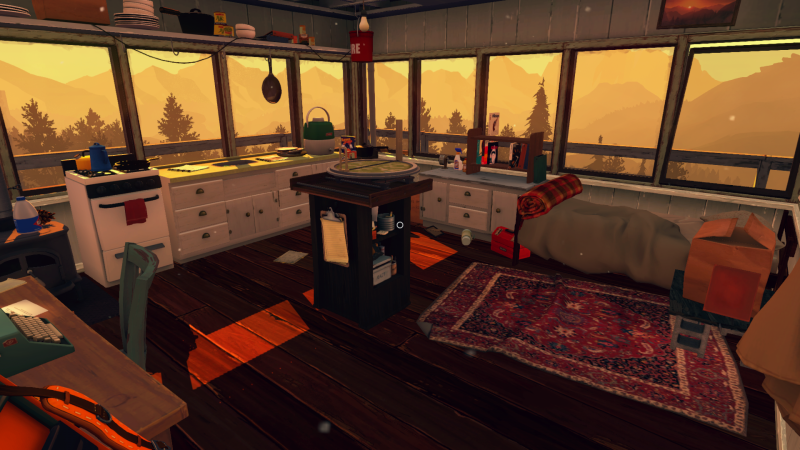 4) Firewatch Firewatch is a game I had kept an eye on throughout development. It initially drew my attention with it’s beautiful aesthetic and concept art, and I intentionally kept myself away from spoilers as much as possible until I could play it. It centers on the experience of Henry, a middle-aged man who takes a summer job as a forest fire lookout in the summer of 1989 and soon finds himself stalked by a shadowy figure. I don’t want to say too much here, because I think most of the enjoyment of Firewatch comes from the slow unfolding of its narrative as the player explores the beautiful wilderness of Shoshone National Forest. I think Firewatch is a game that has a lot to say. It’s a beautiful and moving narrative about escapism, interpersonal relationships, and – ultimately – disappointment. The mystery of Shoshone National Forest comes in bits and pieces. The short nature of the game encourages players to take their time, explore, and investigate on their own. It’s a beautiful work of art in both visuals and story, making it one of my favorite gaming experiences this year. 3) Final Fantasy XV After a decade of development, it would be a shame if Final Fantasy XV didn’t appear on top ten lists this year. That would mean it was a disappointment. Fortunately, that’s no concern. 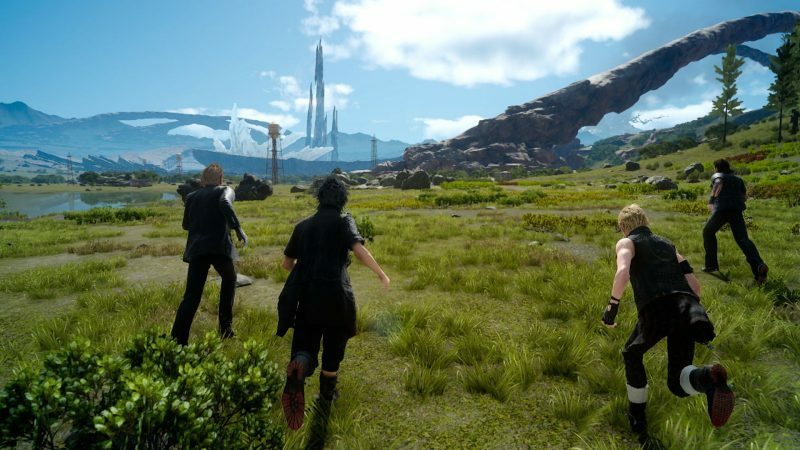 The final product Square-Enix delivered was a breathtaking and thrilling journey crammed full of slick, exciting gameplay and beautiful vistas to explore and battle through. While not without the standard Final Fantasy caveats (weird story, long time commitment), it’s so much fun to follow the four protagonists as they take a road trip to save their homeland. From camping in the wilderness and getting gas at roadside diners to battling mech soldiers and sneaking into military bases, Final Fantasy XV provides hours of fun and beautiful action. 2) Overwatch Of course this list couldn’t be complete without Blizzard’s new gaming powerhouse, Overwatch. 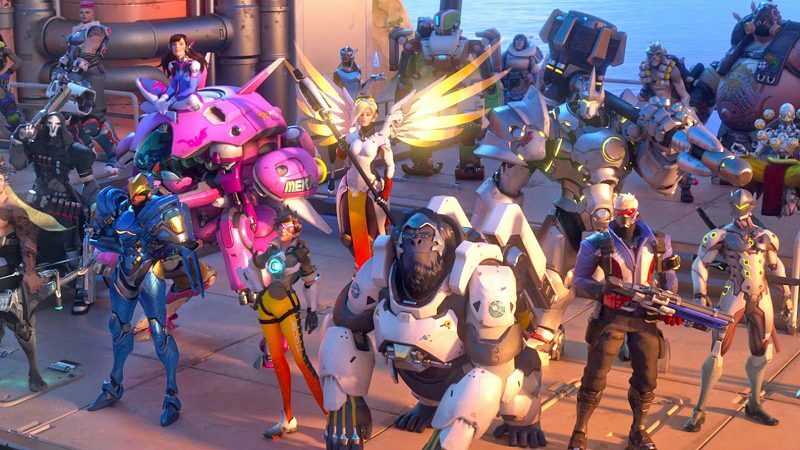 The hero-based competitive shooter debuted to massive success, and now more than half a year later is showing no signs of slowing down. The addition of new heroes, maps, modes, and seasonal events are hopefully an indication that it’ll be added to and improved as it goes. Though as it stands the game is already a phenomenal package. Each hero offers a unique playstyle, and the complex interplay between the different classes and heroes makes each new match feel fresh and exciting. Sick of playing the same match? Just picking another hero can entirely change the experience. Adding to the solid core is a deep and fascinating catalog of game lore delivered through CG movies and comics, all wrapped up in a sleek, colorful, and visually compelling package. It’s a great game with a solid community that shows no signs of slowing down yet. The abundance of free weekends offered hopefully mean more players and a continuation of one of the best multiplayer shooters out there. 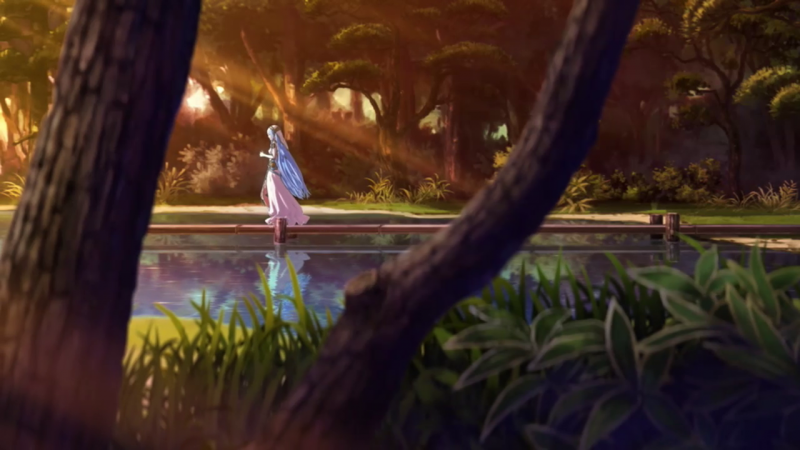 1) Fire Emblem: Fates It was hard to come up with a game of the year in a year full of so many great titles. I think the one that I spent the most time in has to be Fire Emblem: Fates. Fates made a lot of controversial choices, but as a result came out as a fantastic package for anyone looking for compelling gameplay on a smaller and portable scale. Split across three full-length campaigns, Fates tells the story of a prince/ss torn between two nations. One is about their country of birth and the other the country that raised them. While not the greatest story ever told, it’s interesting enough to follow through the 50+ maps that will have your army doing everything from navigating frozen seas to assaulting fortress walls or climbing lava flows. One of Fates’ strongest elements of is its characters. As you build your army through unit development and base-building, you really grow to care about the cast. Losing a character means spontaneously heartrending story moments like when my child unit was killed by a late-game boss, making my eventual victory all the more bittersweet. The entire game was full of moments like this: masterful strokes of victory, nailbiting duels, heartbreaking losses and that’s just natural gameplay! The refinement of the series’ core turn-based nature means the game was as fun as ever too. New units, new classes, and new gear meant experimentation and strategizing is nearly limitless. This combination of compelling and addicting gameplay along with engaging narrative (both written and emergent stories) locked Fire Emblem: Fates in as my game of the year.